The new edition of Coolican's book is impressively wide-ranging. 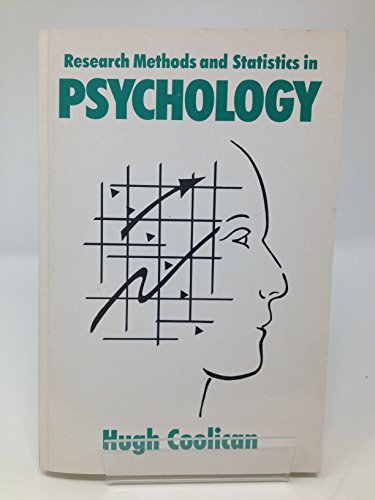 It introduces quantitative and qualitative research methods and guides the reader through the research process from the initial identification and formulation of a research question to the preparation of the final report. The style of presentation is informal and appropriate for A'level students and those in the early years of a psychology degree. 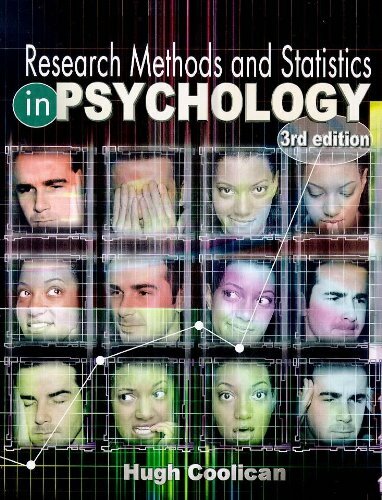 "The new edition updates his support to lecturing on a wide range of approaches to psychological research, as specified for the undegraduate curriculum by the British Psychological Society (BPS) in recent years ... The book is replete with interesting and often important published examples." 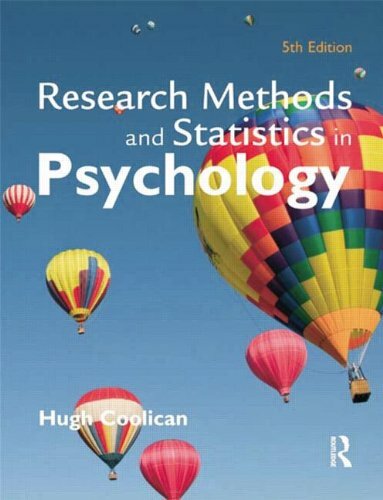 Research Methods & Statistics in Psychology, 4th edition, has been substantially revised and updated, and provides a clear and comprehensive survey of research methods, statistical concepts and procedures in psychology today. Clear explanations of experimental and non-experimental designs are provided and there is detailed attention to a wide range of threats to internal and external validity. Quasi-experiments, cross-cultural issues, ethics and the ongoing quantitative-qualitative debate are all fully explored. Statistical procedures are given clear and comprehensive coverage, and include everything needed at all levels of study - from nominal level tests to multi-factorial ANOVA designs and multiple regression. New to the fourth edition are log linear analysis and a detailed examination of effect size and power, enabling students to report very easily the level of power for their findings. Also new for this edition are detailed and illustrated SPSS instructions for all statistical procedures covered in the book, including data entry and interpreting output, thus eliminating the need for an extra SPSS textbook. 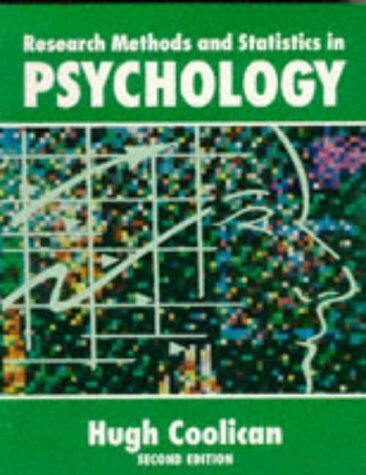 Each chapter contains a self-test glossary, key terms and exercises. Advice on planning and conducting studies, analysing data and writing up practical reports is given, and a 'good' marked report is included, as well as a complete published qualitative report. A much-requested new feature is advice, for each statistical test, on how to report results in conventional (APA) style. 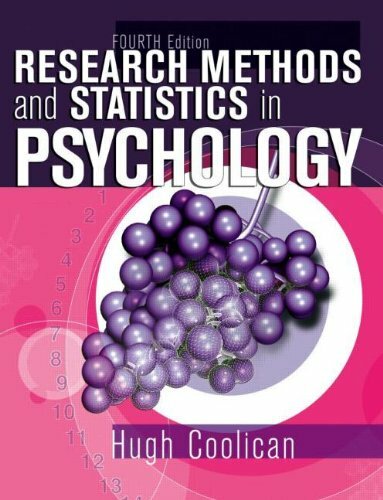 The bestselling research methods text for over a decade, Research Methods & Statistics in Psychology, 4th edition, remains accessible, informative and invaluable to students of psychology and related disciplines at all levels.